One of the biggest threats we have facing us today are earthquakes. It isn’t just the “Big One” in California either. 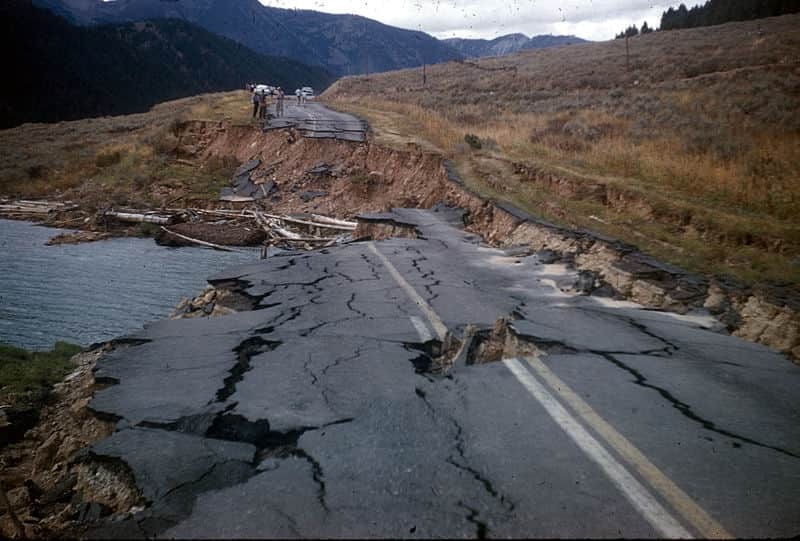 Earthquakes can hit anywhere, even outside of fault zones. Despite the risk, few people know how to survive and prepare for an earthquake. 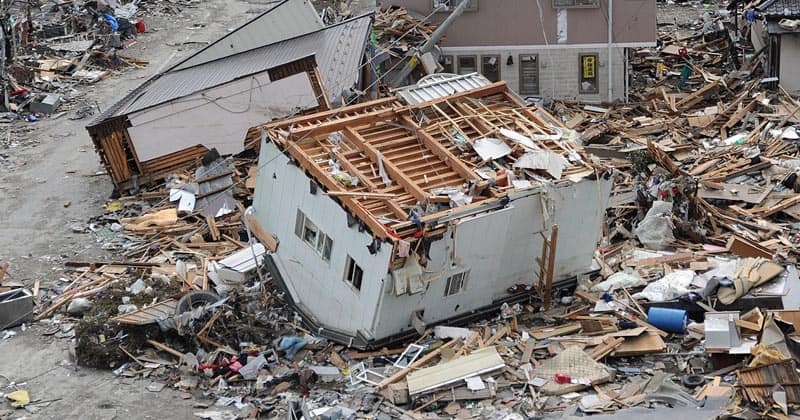 Earthquake preparedness should be just one part of a comprehensive disaster plan that includes prepping for other disasters like hurricanes, flooding, and EMP. A lot of the earthquake survival steps are the same for other disaster types. So, by taking steps to prep for earthquakes, you’ll increase your overall disaster preparedness. Preparedness Matters: The more you prepare, the more likely you are to come out alive and uninjured. You’ll also have a less stressful time during the aftermath. Know How to Shut Off Utilities: Gas leaks, electrical fires, and burst pipes are common after earthquakes. Shutting off utilities quickly after the quake will prevent/contain these problems. Identify Safe Places: You might not be able to get to your designated safe place when a quake occurs. Practice situational awareness and learn to identify safe places wherever you happen to be. Drop, Cover, and Hold On: Make sure your kids know to do this and have practiced it in drills. Prepare an Emergency Kit: You’ll need emergency earthquake supplies for your home, vehicle, and work. 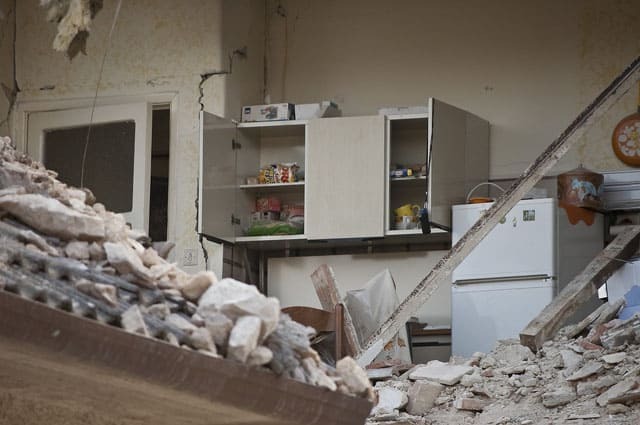 Surviving an earthquake largely depends on the steps you take before the quake even hits. 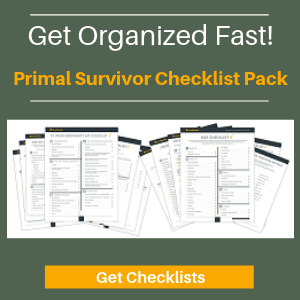 Start by immediately stockpiling earthquake supplies and build up your preparedness level from there. Get an NOAA emergency radio with alerts. You can set the radio to your zone and automatically get alerts if a disaster is set to hit in the area. You’ll find out about the quake before it makes it to the news. A bit of prep can prevent a lot of damage from falling objects – especially if you aren’t able to get to cover when the quaking starts. Also download this Guide to Quake Safe Your Home by the New Zealand Government, it has some great free information. At the very least, you should have a 3-day supply of emergency equipment. This includes items like food, water, first aid kit, and tools for cleaning up debris. However, it is better to pack a 30 day supply. Past disasters have shown that it can take a long time for emergency aid to come in, and even longer for stores to restock their supplies. I personally would rather be safe at home than fighting crowds for bottles of water distributed by aid workers! You’ll need emergency supplies in your home, vehicle, and work or school. Earthquakes don’t build up slowly like hurricanes do. You probably won’t have much time to think about where to go once the quaking starts. Every second matters. A lot of people get injured because they hesitate once they feel the earthquake tremors. Hesitation causes them to waste valuable time and get hurt by falling objects. Emergency earthquake drills are important because they will help you react quickly and appropriately. Talk to your kids’ school about whether they perform any earthquake drills. Here’s a more detailed guide on how to run an earthquake drill. 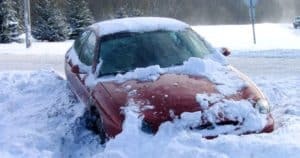 One of the biggest prepping mistakes is failing to make an emergency communication plan. After a disaster, phone lines are often destroyed. Mobile phones get flooded and calls often can’t get through. Imagine if an earthquake hit while you were at work and you couldn’t get into contact with your family. It would be incredibly stressful. Even worse, what if a family member was missing? These issues can be addressed with a communication plan. Here is a comprehensive guide on how to make an emergency communication plan. Because we rarely get advanced warning of earthquakes, it is unlikely that you’ll be able to evacuate before an earthquake hits. The official advice is: Don’t evacuate before or after an earthquake unless told to do so. Unless the earthquake has made your location unstable, it is best to remain where you are even after the quake. You risk being caught outdoors during an aftershock if you try to leave. Wait until authorities say it is okay to evacuate. The exception to the rule is if you live in a tsunami zone (see tsunami map here). People in these areas are advised to leave immediately after the quake stops. Go to higher ground ASAP. It only takes minutes before tsunami waves hit. If you are at home, head towards an upper floor. Outdoors, you might need to climb a tree and HOLD ON. Check out this real footage of the tsunami in Japan to see why prompt evacuation after earthquakes is necessary. I personally have only experienced an earthquake once. It wasn’t a large event, but it was still scary as hell. Luckily we’d run drills so my family and I were able to take the right steps to stay safe during the quaking. A big part of mental preparedness is knowing what to expect. If you’ve never experienced the raw power of an earthquake, I suggest you watch the video below. You can see for yourself that there won’t be much time to get to cover. Every second counts. In the video, also note how few people are practicing Drop, Cover, and Hold On. One supermarket woman is even trying to hold the shelves up to keep them from falling. Luckily she gave up and hopefully avoided getting smacked in the head with a flying can of soup. How you react could save your life, so run earthquake practice drills! The problem with earthquakes is that you won’t be able to move far. In a mag 6.5 quake or higher, you’ll be lucky to go 6 feet before the ground is shaking too badly for you to stand anymore. Statistics show that the further you try to move during the earthquake, the more likely you are to be injured. This goes to show how important it is to quake-proof your home. Imagine that you are sitting on the couch when the quake hits. You might have a sturdy desk in the next corner that could serve as cover – but a bookshelf might topple on you as you try to get there! Since you can’t move far to safety during a quake, the best thing you can do is: DROP, COVER, and HOLD ON. Drop to the ground where you are. This position prevents you from getting knocked off your feet. Cover your head and neck with your hands to prevent injury. In school drills, they had us use textbooks for covering our heads. If cover such as a sturdy desk or table is nearby, crawl underneath it. If you cannot find cover, then crawl towards an interior wall (one away from windows). Obviously avoid crawling under any large furniture or wall hangings that you did not secure. Don’t be surprised if your cover starts wobbling across the floor during the quake. Hold on and move with the cover if you must. Quaking usually lasts just a minute or two. Go outdoors. Falling debris can kill you. People who go outdoors during a quake often get injured the worst. Go under a door frame. This is a common earthquake myth – door frames are not sturdier than anywhere else in your home. You just risk getting hit by flying debris. Use the “Triangle of Life” method. This method is based on many incorrect assumptions. You should drop, cover, and hold on instead. Go under the bed. Beds do not provide adequate protection against falling debris, and you’ll be trapped in a very tight space if debris does fall on the bed. If a quake hits at night, just roll off the bed instead and cover yourself. Unless you are lucky enough to be in a wide open field, being outdoors is one of the worst places to be when an earthquake hits. Don’t try to rush indoors if a quake hits though. You’ll just put yourself at risk of getting hit by flying debris. Instead, look for an open space that is free of electric poles, trees, and large buildings. Go there and follow drop and cover. If an earthquake hits while you are driving, it will probably feel like your car suddenly had serious problems. It might take you a moment to realize it’s an earthquake and not your steering going out of control. Cover your head. Even in a car, you can still get harmed by falling debris. Turn on the radio and listen for alerts. Drive cautiously afterwards. Anticipate rubble, broken stop lights, and blocked roads. It is important to stay calm during the earthquake. Freaking out has never helped anyone during a survival situation. It just causes them to make poor decisions. Staying calm is especially important if you have small children as they will be taking their cues about how to react from you. If you can stay calm, the event will be less traumatic for them. 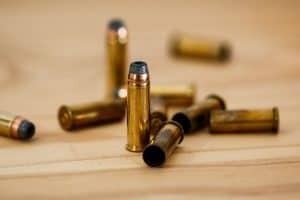 To help you stay calm during a disaster, practice mental preparedness training techniques. When an earthquake occurs, it destabilizes the entire fault line. The result is that aftershock earthquakes can occur. The worst case of aftershocks occurred after the 2011 Tohoku earthquake in Japan. The original 9.0 magnitude earthquake hit at 2:46pm. Just 22 minutes later, a 7.4 mag quake hit. This was followed by two more large aftershocks within 18 minutes. 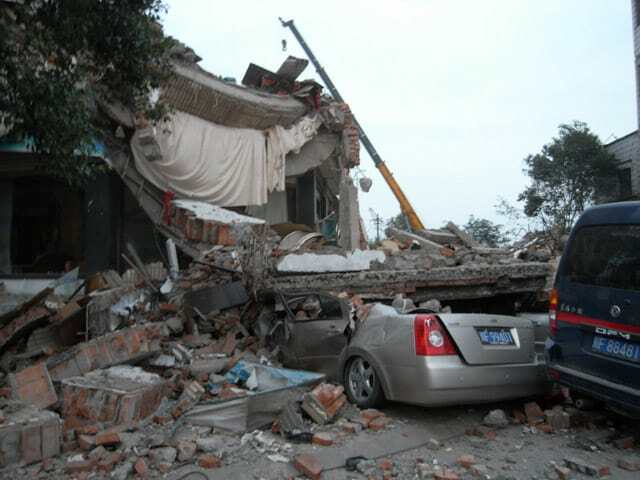 Large aftershocks continued for weeks after the quake. Even a year later, smaller aftershocks were still occurring. The bigger the original earthquake, the bigger and more frequent the aftershocks will be. We don’t know if and when aftershocks will occur. So, you can’t be expected to cower down for weeks in a safe spot. However, you can use extra caution after a quake to make sure you aren’t in dangerous areas – like right next to a building about to topple. Hopefully you have stored your emergency radio someplace accessible. It will be your lifeline to the outside world. Pay attention to whether there are any evacuation notices in place. Even if you think you are safe at home, always follow the evacuation instructions. There are dangers you can’t predict (such as chemical spills or nuclear plant meltdowns), which is why authorities make the call. 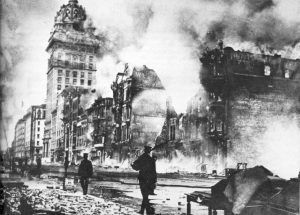 Before we had electricity, earthquakes would almost inevitably result in huge fires caused by overturned lamps and candles. 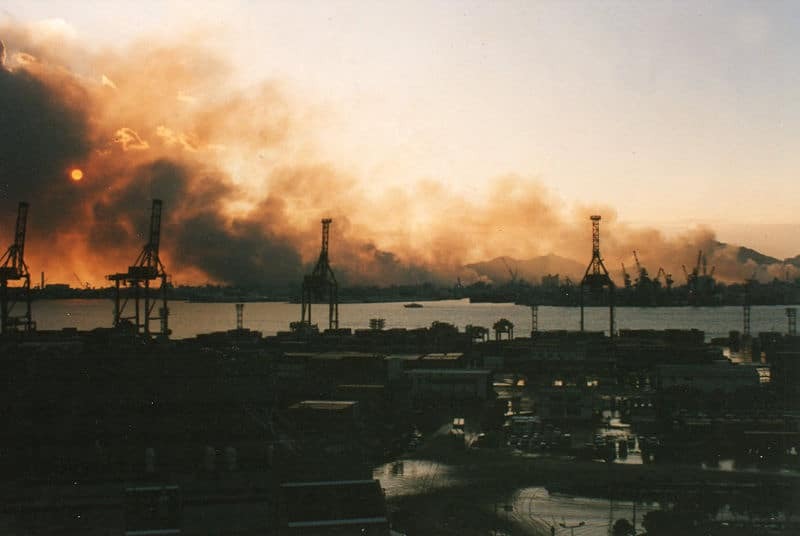 Today, the risk of fires isn’t as bad. However, gas leaks can still pose a huge fire risk. Consider an automatic gas shutoff valve: These are set to shut the gas off immediately in situations such as an earthquake. Do not use candles after a quake: An aftershock could overturn the candles. The flame could also ignite leaked gas. Check for a gas leak: The main sign of a gas leak is that you’ll smell something like rotten eggs in the air. Your gas meter might also be running quickly. If there is a gas leak: Do not turn on anything electric. Open a window and run outside immediately. Then shut off the gas at the main. After shutting off the gas, only the utility provider will be able to turn it back on again. For this reason, utilities companies only recommend shutting off the gas if you suspect a leak. I personally would play it safe though and just shut off the gas – especially if it was a large earthquake and aftershocks were likely, or if I was going to evacuate the home. However, I have an emergency stove and heater so I could easily live without my gas supply after a disaster. After a large quake, expect the water mains to be damaged. You might even need to shut off your own water main if the quake caused pipes to burst. Even if your tap water still is working, it doesn’t mean you should drink it. Water treatment plants often stop working during emergencies. The water coming out of your taps might be tainted with bacteria, protozoa, or other contaminants. You can try calling the water company to ask about the tap water, but good luck getting through. The phone line (if it is even working) will likely be flooded with callers. Instead, turn on your emergency radio and listen for a water update. If you can’t get any information about the tap water, assume the water is unsafe to drink. Hopefully you have enough bottled water to last you for at least three days (though a 30 day stockpile is recommended). Boiling: Bring water to a rolling boil for at least 1 minute. Filter: A 0.2 micron water filter will remove bacteria, protozoa, parasites, and some chemicals. Bleach: You can use bleach to treat water. It will kill bacteria, viruses, and other common pathogens. Bear in mind that every disaster is different. For example, if the quake occurred near a chemical plant, the chemicals could contaminate your water supply. You would need to use a purification method like activated charcoal to remove the chemicals. It is recommended that you have more than one way to treat water. 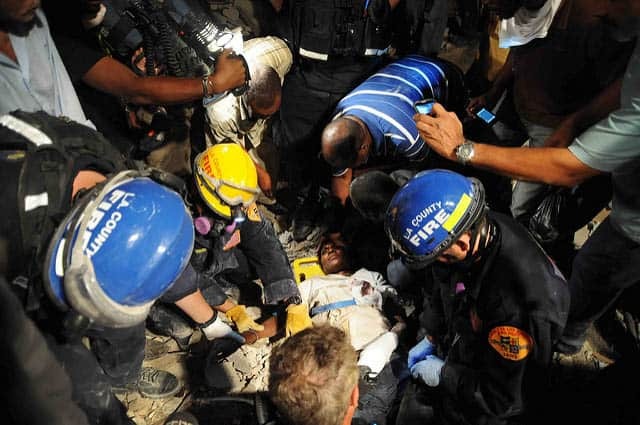 After the earthquake in Haiti, Evans Monsignac found himself trapped under the rubble of a marketplace. He stayed there for 27 days before finally being rescued. Monsignac barely survived. He had no food and his only source of water came from leaking sewage. When he was found, he had lost 60lbs, his wounds were festering, and he was severely dehydrated. But he survived. It is amazing what the human body can endure. There are numerous other earthquake survival stories about people being pulled out of the rubble. If I were ever to be trapped under earthquake rubble, I’d like to remember these stories to give me hope. Stay Calm: Screaming will just use up your much-needed energy. You’ll need a clear, level head if you want to survive. Assess the Situation: Are there any injuries? Is there immediate danger of more falling rubble? Can you see light or feel air? 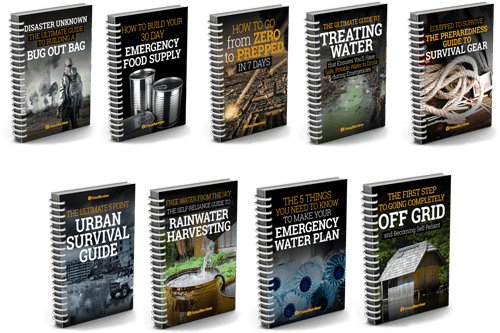 Do you have any supplies such as water near you? Treat Injuries: Put pressure on wounds. Use your clothes to wrap wounds temporarily if needed. Elevate injured parts to reduce bleeding. Protect Against Dust: Use your shirt to cover your mouth and nose so you don’t breath in dust. Find Escape Route: If you can safely do so, start working your way outside of the building. Remember that moving debris might cause more rubble to collapse. Move to More Secure Location: The building might collapse further. Move to a spot which offers more protection, such as under sturdy furniture or a collapsed beam. Signal for Help: If your phone doesn’t work and you don’t have a whistle, the best way to signal for help is to knock on solid pieces of rubble. Knock three times, wait, and then repeat. Rescue workers listen for these types of sounds. 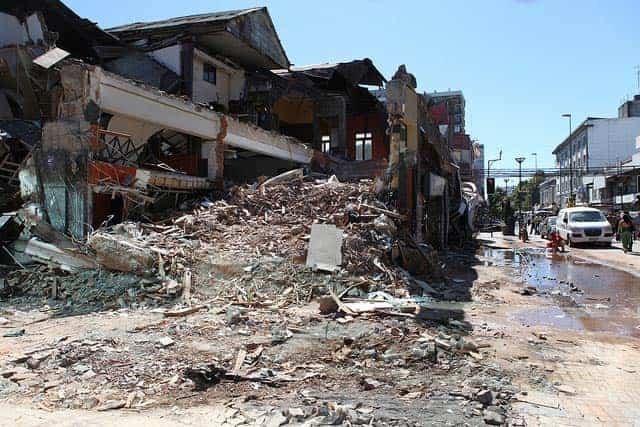 If you’ve managed to survive the earthquake without serious injuries, now is the time to go out and help others. 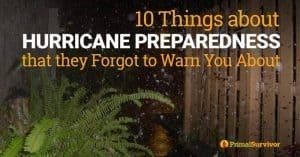 Start by checking on your neighbors to see if anyone is injured. Join rescue teams who are working to save people trapped under rubble. 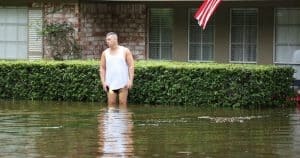 Disasters are terrible times, but they also bring out the heroes in us. This is just one more reason to get prepared for an earthquake. You not only will save yourself, but be in a better position to save others. Learn more about how to become a disaster rescue hero.